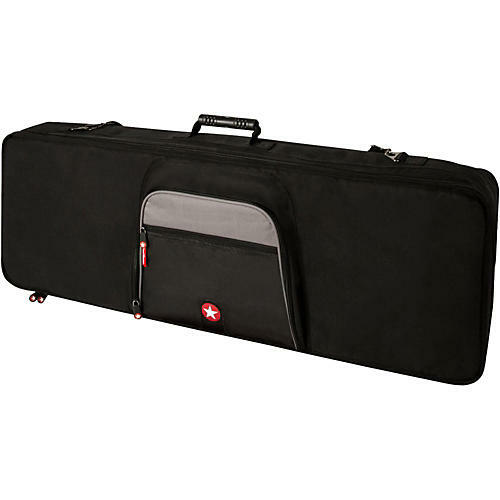 Road-ready gig bag for different-size keyboards. These Roadrunner Keyboard Cases are made of a super-tough water-resistant exterior with a 25mm foam interior with reinforced webbing. Its pockets provide plenty of space for all your cables, music books, and pedal. Order this solidly built case today!